The shipping industry needs to be more proactive to ensure that ships in the future have technology that reduces the amount of sulphur dioxide they emit, a group of British politicians has said. Politicians and the shipping industry have been wrangling over proposed changes to International and European regulations that aim to reduce sulphur dioxide emissions from ships for several years. Sulphur dioxide is a major cause of air pollution and causes significant health problems. While overall EU sulphur emissions are decreasing, the sulphur emissions from shipping are increasing and the sector is set to become the main source by 2020. The EU has decided to adopt an international convention that imposes stricter limits on sulphur emissions and the shipping industry is pushing for a number of provisions to the European implementation. According to the UK’s Transport Select Committee, shipping operators are worried about the availability of low sulphur fuel and the maturity of pollution abatement technology. However the Committee also said that shipping operators should have been more proactive about developing effective pollution abatement technology. 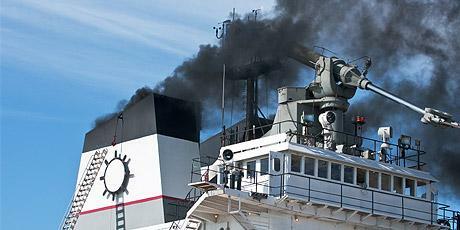 The report “Sulphur emissions by Ships” can be found here.